Leading short-form video app Tik Tok is all set to find the most exceptional creators from the top universities in the metro with its first-ever campus tour in the Philippines. All college students from different schools are welcome to join in this fun and inspiring contest and win as much as Php20,000 in scholarship from Tik Tok. Tik Tok is giving away up to Php1-M in cash prizes! Make a video yourself, be a duo, with your pals, and roomies or even with your professors! Just let your imagination go wild and be creative. Participants will need to upload the videos in Tik Tok with the hashtag #TikTokCampusAudition. Top five students with the most number of likes from each university will get the chance to win a scholarship of up to Php20,000 from Tik Tok. 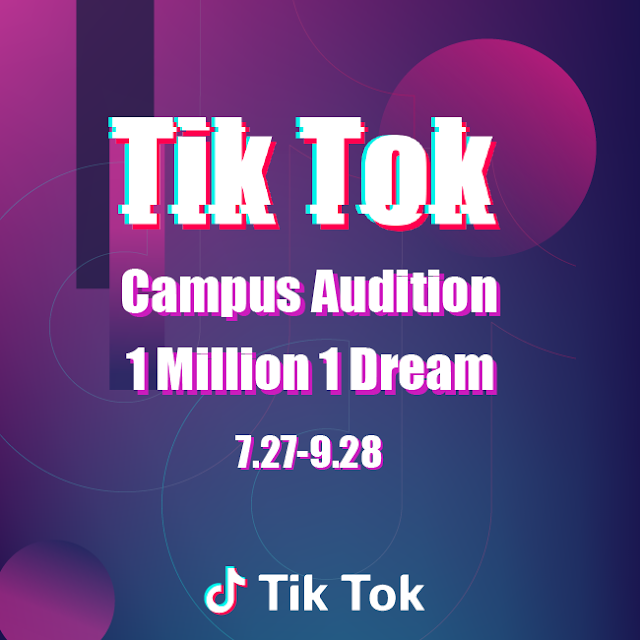 The winners will also be given the chance to perform on stage during the campus tour, grow their fan base, and become part of Tik Tok’s pool of influencers worldwide. With the audition ongoing, Tik Tok will take the fun of creating videos with campus tours held during period August 4 to September 28. Tik Tok creators will enjoy the fashionable Dance and Dubbing booths, customized gifts, and hang out with their Tik Tok friends. For the upcoming campus tour in the National University on August 4, Pinoy top bands 6 Cycle Mind, Better Days, Gracenote, and Banda ni Kleggy are set to perform for the students. To cap the campus caravan, Tik Tok will host a gathering of the winners of the schools which will be announced on a later date. The campus tour is made in cooperation with Vivo Philippines. Top video entries from each school will be announced on Tik Tok's social media channels, Instagram, Facebook and Twitter. So, join Tik Tok now and be closer to becoming the next star!